President Obama wants lawyer turned Treasury official Tim Massad to head America’s derivatives watchdog – replacing ex-banker Gary Gensler, whose zeal reshaped the agency. Massad’s swaps experience is thin, but his background may suit the CFTC’s increasingly hefty rulebook. 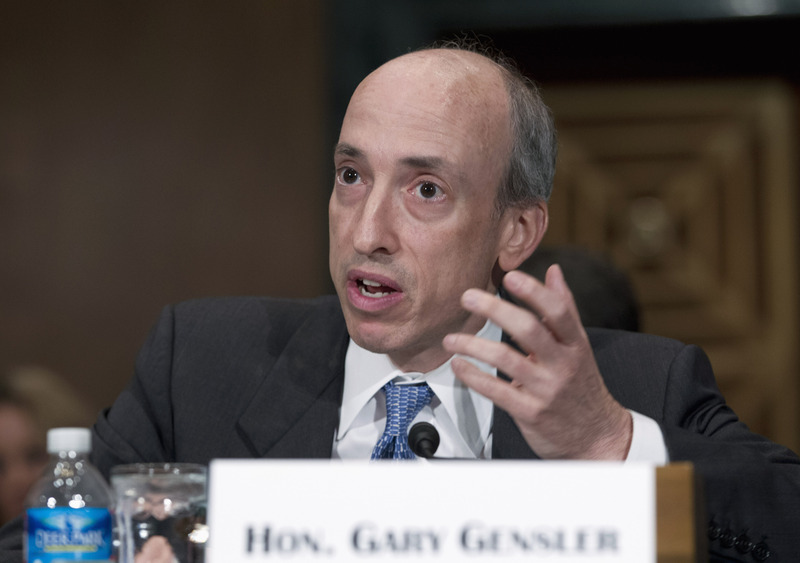 Commodity Futures Trading Commission Chair Gary Gensler testifies at a Senate Banking, Housing and Urban Affairs Committee hearing on Capitol Hill July 30, 2013. U.S. President Barack Obama is expected on Nov. 12 to nominate Timothy Massad, the Treasury’s assistant secretary for financial stability, as the new chairman of the Commodity Futures Trading Commission. If confirmed, Massad would succeed Gary Gensler, who will leave the top CFTC job at the end of this year. At the Treasury, Massad is responsible for overseeing the implementation and wind-down of the Troubled Asset Relief Program, which began as the vehicle for U.S. bank bailouts during the 2008 financial crisis. Before going to the Treasury in 2009 he was a partner with the Cravath, Swaine & Moore law firm, focusing on corporate finance.